Another P.B. 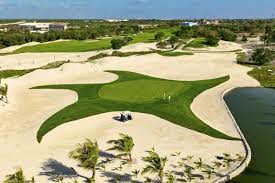 Dye creation in the popular golf destination of Punta Cana, located in the resort property of the Iberostar Hotels. With many undulations and his ever famous hidden pot bunkers, you will continue to enjoy this P.B Dye design.